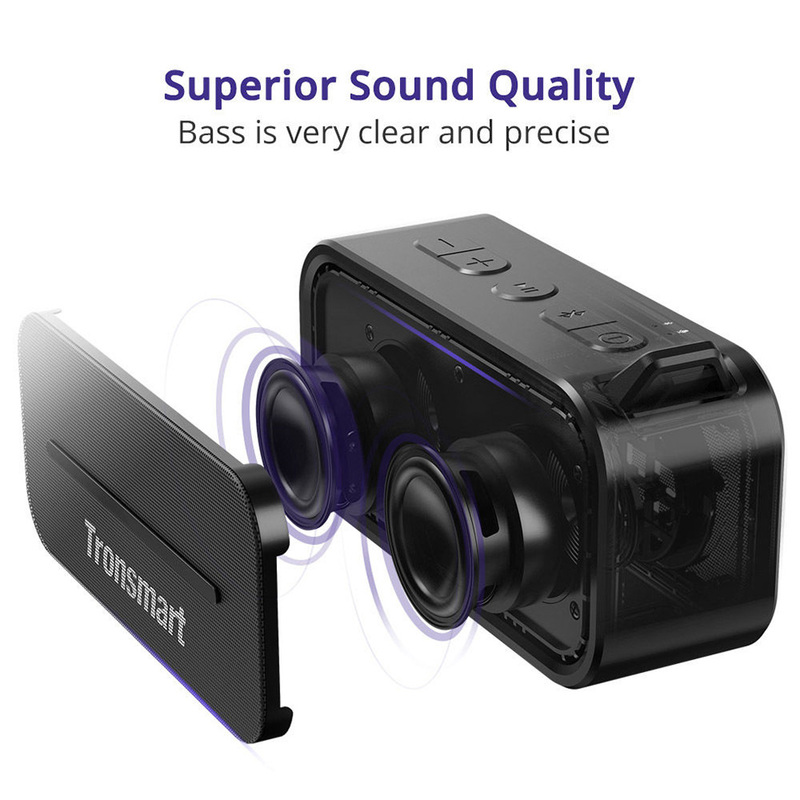 With two 3.5 watt inner-magnetic loudspeakers covered by ferro-aluminium outer shell, Tronsmart T2 streams crystal clear stereo sound and super enhanced bass; advanced chips involving 20 band EQ adjustment add much more details to the sound performance.With 1900mAh rechargeable battery, it can get up to 12 hours of endless music. 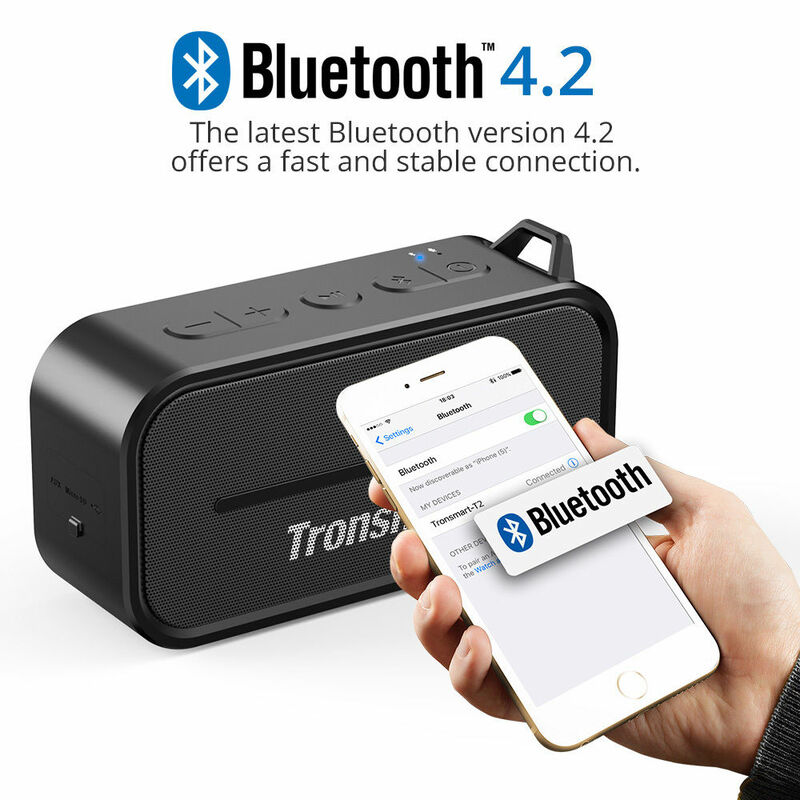 Latest Bluetooth 4.2, connect more faster and more stable, and it will more power saving. And can be easily connected by include iPhone 7, 6s, 6, 5, 5s, android,Samsung Galaxy S8 S8+ computer, mobile phone to walking around 66ft range . 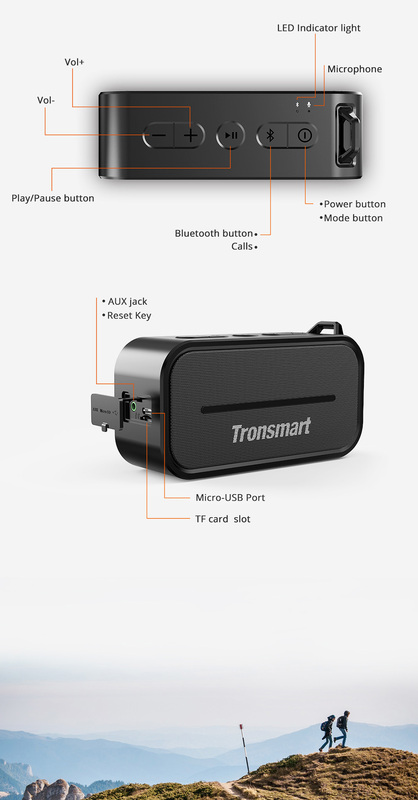 It compatibles with all Bluetooth-enabled devices. 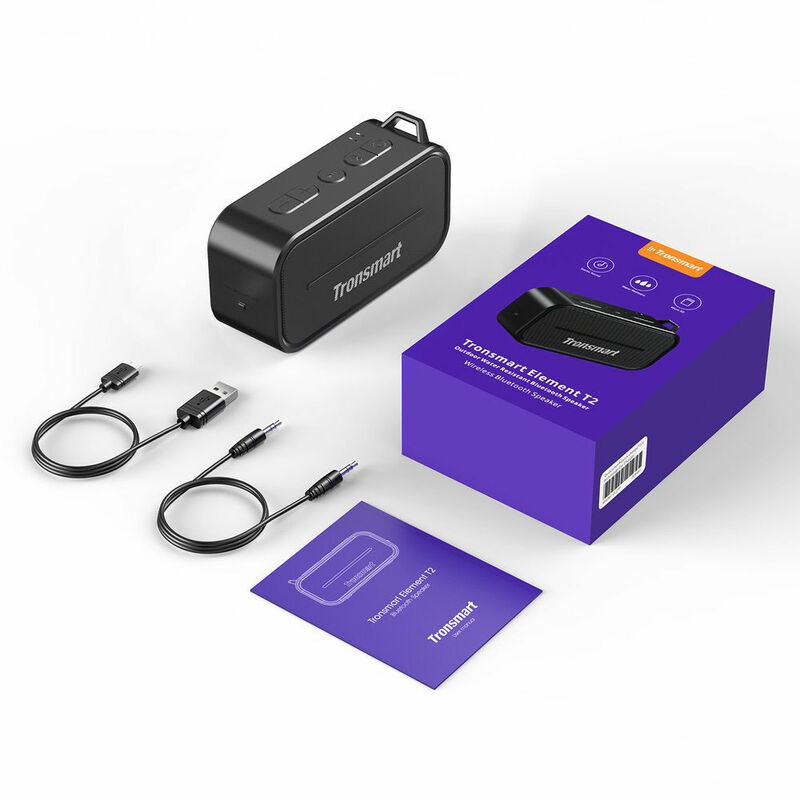 It can also be connected to non-Bluetooth devices via the included 3.5mm audio jack cable. 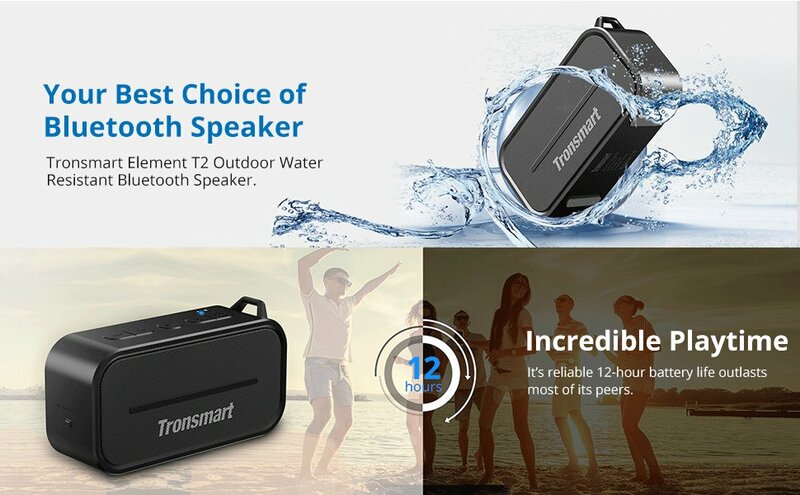 Weighing only 0.87lb, means it's lightweight to take this Bluetooth speaker to anywhere with its hand-size design and Only using one finger you can lift it up with a stylish carabiner or a durable lanyard(both included) . 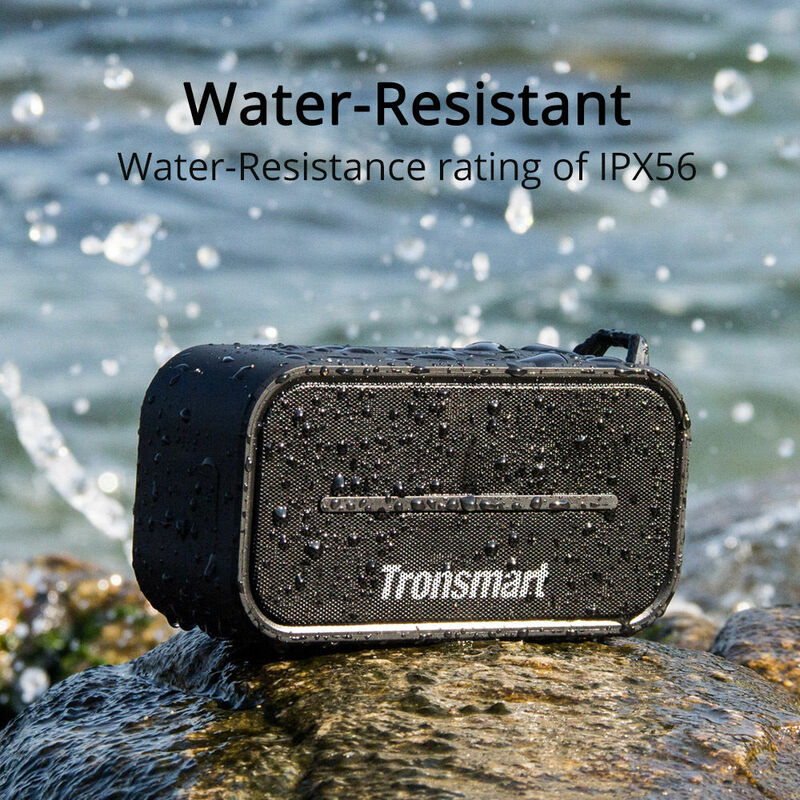 IPX56 rating waterproof, Means it's safe for poolside, beach, or a little rainy camp day for this wireless outdoor bluetooth speaker is splashproof and Crashproof. 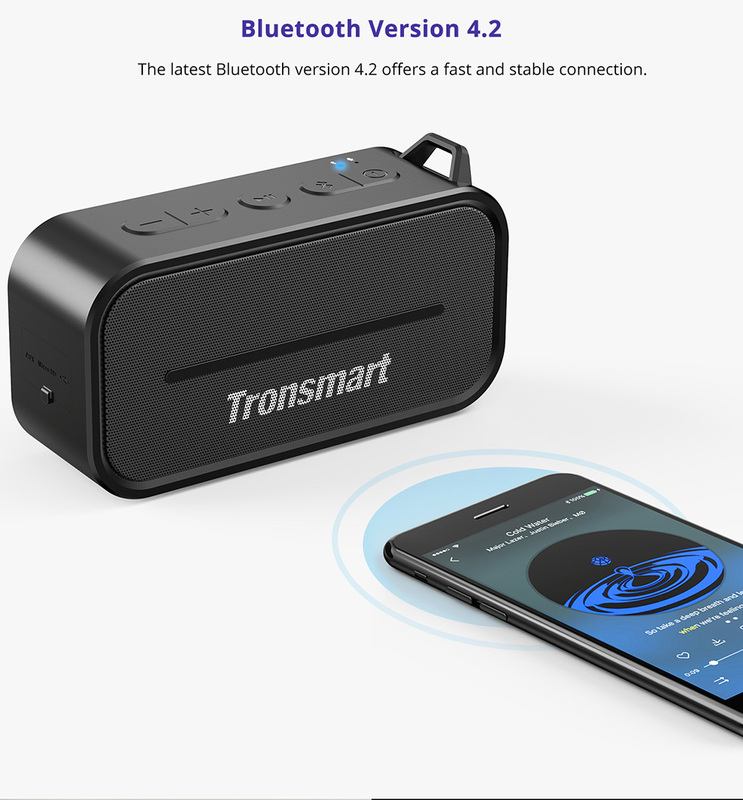 Thanks to TWS function, pair any two T2 speakers, you can achieve true wireless Bluetooth playing for left and right channels separated of two Tronsmart T2 speakers. 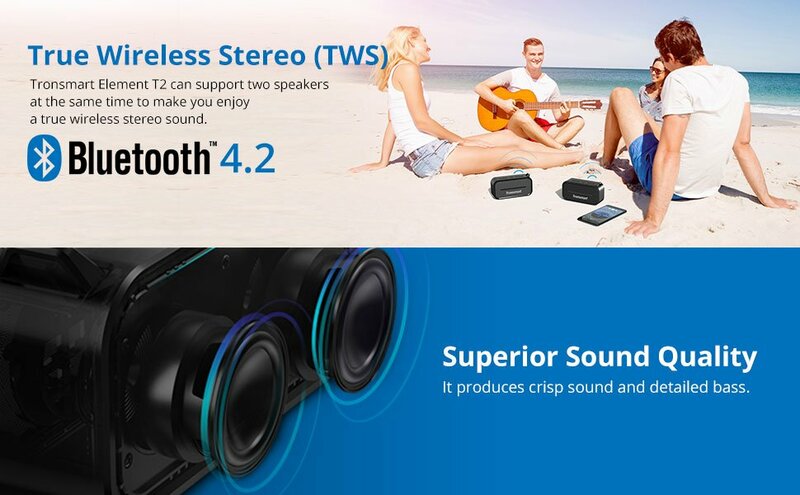 Just control the TWS master device, then audio can be played in sync on both devices with double enhanced stereo sound.